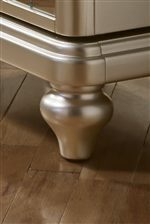 Elegance and glamour describe this stunning Drawer Chest. 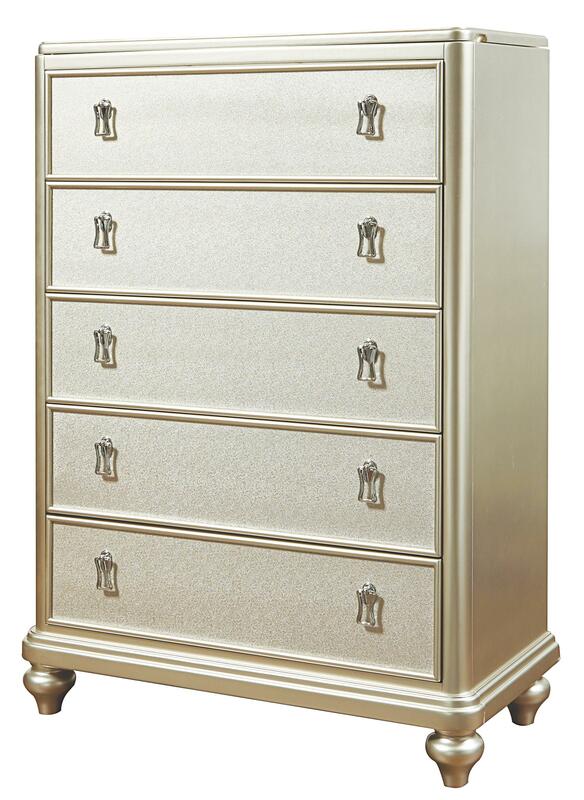 The Drawer Chest is unique with a lift lid top featuring a mirror and felt lined jewelry tray giving your best pieces of jewelry a safe home. The chest also has five drawers adding plenty of storage to your bedroom. 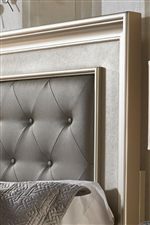 Each drawer is constructed with French and English dovetail joinery and is detailed with an embossed faux leather front and stunning drop pulls. The Diva Drawer Chest w/ Lift Top by Samuel Lawrence at Miskelly Furniture in the Jackson, Pearl, Madison, Ridgeland, Flowood Mississippi area. Product availability may vary. Contact us for the most current availability on this product.